Unsold Television Pilots 1955-1989 is an expanded version of author Lee Goldberg’s book The Best TV Shows That Never Were (reviewed yesterday). Yesterday’s book focused on, as the title suggests, the best shows that were never made. This book is ALL the shows not made between 1955-1989. It is not a simple read. But it is fascinating! This is a great peek at how Hollywood thinks. Compare the shows that made it to these shows that didn’t even get past the pilot stage, and you can start to see what the Hollywood TV makers think of the television consumer. But you can also look at some of these pilots and wonder what the heck ever made anyone think it might be a good idea. The book is broken down into chronological order by year and within each year it is broken down by studio and type (comedy or drama). There is a comprehensive list of producers, writers, and actors along with the general story plot for the pilot. In some cases the intended story arc for the potential series is also presented. For those of us with a fascination with television history, this is a gold mine. Whether it’s seeing actor names like Harrison Ford in a pilot where James Farentino plays a defrocked priest (The Possessed, 1977) or Dwayne Hickman is the only male teacher in an elementary school (Hey Teacher, 1964); or writers like Earl Hamner (The Waltons) come up with ideas like that in which young veterinarians live in the mountains with a huge tiger and a pair of orangutans (Tiger, Tiger, 1969), this book is filled with little gems. Although I read this chronologically, cover to cover, this is easily the sort of book that one could pick up and thumb through and look at any year. Any producer. Though it has little useful information for daily use, for those of us who love trivia and pop culture and television, this book has so much to offer. The down side is that it only goes up to 1989. An entire generation (or even two) of television watchers won’t see the failed pilots from their viewing years. But I can understand how much more difficult it gets as more and more networks begin producing their own shows. And with companies such as Amazon and Netflix also making original programming, just keeping track of these things becomes more and more complicated. This book is clearly a labor of love by author Lee Goldberg. That he is a fan of the business, as well as an insider, is obvious. I would like to have seen a little stronger hand in the proof-reading. I recognize that there are a LOT of names in this 800+ page book, but there were times when the errors (not all of them typos) seemed a little too much. Stor Trek instead of Star Trek is an example, and in a 1979 inclusion of The Return of the Mod Squad, character of Lincoln (‘Linc”) Hayes is twice referred to as “Line” Hayes. Note that my copy of the book was an advance reading copy and that perhaps some corrections were made before publishing. All in all, I really like this book and will most certainly reference it in the future. Looking for a good book? 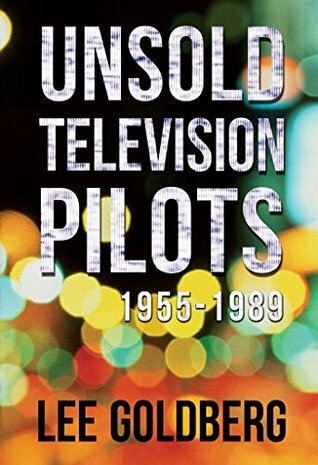 Unsold Television Pilots: 1955-1989 by Lee Goldberg is a great look at pop history from a point of view that we don’t often see … the things that don’t make it to the public eye. In television lingo, a ‘pilot’ is a one-time television episode that is made to show television executives what a show might look like (apparently because these executives have no imagination from simply reading a script). Every year, there are MANY television pilots made by a variety of networks and studios, all trying to create the next ‘hit’ television series. And every year, most of those pilots are shown to some executives and then sent to a shelf never to be seen again. In this book, Lee Goldberg shares with the reader a number of pilots that were never sold to become series’. For someone like myself, who grew up with television, who grew up as a fan of television, this is a great reference book. I’ve written before on how I really like television reference books and this is a great addition to my bookshelf of television-related books. The difference here is that usually my tv-related tomes are something I refer to while watching a show or movie. Because this is a book about shows that were never aired, I’m not likely to use this as a reference. I did, however, really enjoy reading through this, getting a sense of the sorts of shows that were popular (or trying to be popular) in these previous decades. There are some very nice little gems in this book. One of my favorites is a show called The Bakery, made in 1990. “An exceptionally well-made, innovative twist on the conventional cop show, developed for CBS for the 1989–90 season. Each episode of the proposed series would frequently time-shift between decades while following a core group of police officers through the 1960s, the 1990s, and the early part of the twenty-first century. ” Author Goldberg doesn’t hold back on his own thoughts and writes that “CBS should have made room” on their schedule for this. In addition to reading about these shows, it’s also fun to look at some of the actors who were making pilots. I don’t think I was aware that Harrison Ford had a small role in a pilot (“The Possessed” in 1977), but it doesn’t surprise me how many pilots William Shatner made. The only disappointment here is that while this book is published in 2015 (reissued, I believe), it doesn’t have much in the way of updated, modern pilots. I’m not sure the purpose of reissuing a book like this but not updating the information. This still only covers the years 1955-1990. I would imagine that trying to uncover information on television pilots in the age of 100+ television channels quite a challenge. All in all, this is a great book for anyone who enjoys television-related history or just enjoy random trivia. Looking for a good book? 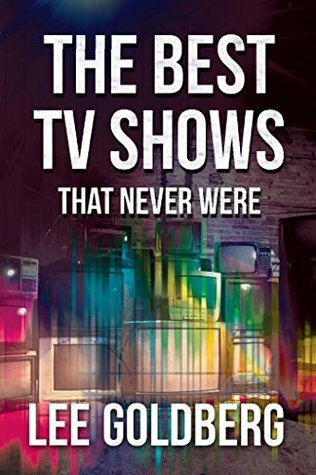 Lee Goldberg’s The Best TV Shows That Were Never Made is a great book for anyone interested in television. Although I love to read, and I read a lot, I grew up a child of the television age. As one of those first generation ‘latch-key’ kid, the television was my nanny. And when I moved to Hollywood, it was television that I had hoped to break in to. I am also one of those individuals who has a number of somewhat obscure television references books (and have had for probably thirty years now). And so, this is precisely the sort of book that I really, really like. Television Fast Forward is a reference book about the “Sequels and Remakes of Cancelled Series” from 1955 to 1992. Because I am a little strange and will even read a reference book cover to cover, I also picked up on some small tidbits. For instance…I never knew that Warren Zevon did music for a television show (a 1993 remake of Route 66) or that Sandra Bullock appeared in a 1989 movie called The Bionic Showdown – a sequel to The Six Million Dollar Man and The Bionic Woman (one of four sequels). There are a couple of things that I didn’t like about this book. 2) I recognize that what I have is an Advanced Reader Copy, but the number of spelling, typography, and simple proof-reading errors was disappointing. One would hope that if this was published in 1992, any errors from that publication would have been corrected and that there should not be new errors in the old copy. But we have, about Star Trek, the sentence that it was “just about arty story could be told” (sic) and its creator was Gene Rodden berry (sic). But still, this is precisely the sort of book that I want on my bookshelf (not on my kindle) so that I can refer to it periodically. If you are a fan of television, you’ll want this, too! Looking for a good book? 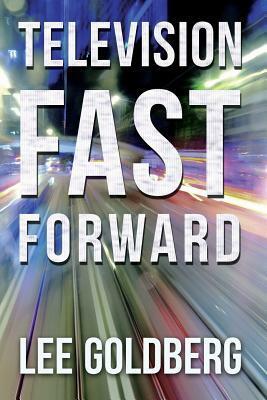 Television Fast Forward is a fantastic reference book on the subject of sequels and remakes of television shows. This is a phenomenal insider look at the concept, creation, and growth of the digital television industry. When I sit and watch Netflix on my 56″ flat-screen HD television, I know that a lot of time and effort went in to the creation of this technology, but of course, like most people, I know next to nothing about how it all happened. Thanks to Marc Tayer, who was in on the ground floor of the development of this technology, we can get a peek at how this all came about. The first thing to recognize is the timing. It’s 2016 as I watch streaming, digital content on my HDTV. When was this technology created? The HD TVs started appearing on the market about a decade ago. That’s right…it’s only been about ten years since HDTVs were reasonably on the market. So when were they developed? THAT goes back a little further. You can practically pinpoint the year 1982 as the start of the digital era, when a new company had a contract with HBO for satellite television encryption. Starting with this event in 1982, Tayer details all the stepping-stones to the development of digital, HD technology with incredible precision and insight. And he introduces us to a cast of characters that would rival a Tolstoy novel. Because Tayer is an insider and was a part of this process from an early stage, he is able to offer some incredible insight in to the people (why were they hired) and the process. And it would be easy for Tayer to emphasize his role in the process, or to only report on those aspect in which he was directly involved, but this is much more than a memoir. This is a report on the process as a whole. This isn’t just a one-person’s point of view tale. There has been a vast amount of research done to prepare for this book and Tayer notates his research meticulously. In fact the last 25% of the book is filled with annotation, glossary, and index. And kudos to the publisher for making the notes on my digital copy of the book, easy to access. At times, the book reads a little like a technical manual, but given the nature of the topic, one has to expect there will be a fair amount of discussion about things like bandwidth, compression, bit-rate, and so forth. I am not a Luddite, but I’m far from being highly knowledgeable about the technical side of our modern technology. Marc Tayer writes about this in a very straight-forward, practical manner, and yet it doesn’t get bogged down in technical lingo and it is very easy to read. … consider that a pure “uncompressed” digitized HDTV signal would take up to 50 cable channels, a total of 300 MHz of bandwidth. That is a completely impractical proposition since it amounts to a third or a half of the entire bandwidth of a cable system. Squeezing one or two digital HDTV channels into a single 6 MHz channel, while preserving stellar video quality, was a feat deemed impossible at the time. While this work was cutting edge … leading the cutting edge … at the time, we know that we are in a very fast-moving world and the changes in technology are rapid, and almost as interesting as the history of the development of this industry is Tayor’s report on the future and where we’re headed. This isn’t just supposition, but a report on what he knows is currently being developed. Of course this means that this book (or this portion of this book, at least) will be obsolete in ten years. I was completely captivated and I highly recommend this book. Looking for a good book? 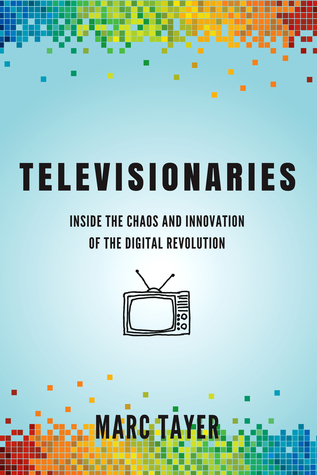 Televisionaries: Inside the Chaos and Innovation of the Digital Revolution by Marc Tayor does a remarkable job of sharing with the reader how our current television technology was developed, and where it’s likely to go. I am not a big fan of this character/comic, but I have a good friend who is and so I wanted to read it and become a little more familiar with the character. I will be interested in what he thought of this book. Not knowing the character well, what I see here is a character conflicted with his origins and his goal or current pursuits. Was he a victim of an alien genocide, or a creation to be a weapon. Is he intended to be a hero to Earth, or a means for its destruction? The scope here is massive, with the potential end result being the destruction of the planet earth. There are other aliens … other Martians? … in the mix, and it seems that even the planet Mars is embodied to facilitate an attack. And fighting against and for J’onn J’onzz are other heroes, some whom I have never heard of before this (not a big surprise since I’m not a huge reader of superhero comics any more). There is also a biscuit eating alien who is sort of a “Forrest Gump” who has befriended a young human girl. and there is some old superhero who is living on an island. But there’s a little more to this. Some of these others are also J’onn J’onzz. That’s right, I said that some of these other characters are also J’onn J’onzz. Whereas I have known he has certain talents, including the ability to shape-shift, I did not know he could divide different parts of his being and send them into different bodies. At least … I think that’s what I’m seeing here. The story is a wild ride and numerous times I felt shades of the old Marvel title, Doctor Strange, with a lot of other-worldly, unexplained things happening that seem to make perfect sense to books’ titular hero. Even the art often evoked Gene Colon, Frank Miller, and Frank Brunner. But this is DC and the Martian Manhunter. And unless you’ve following the character for a while, I suspect you’ll be as lost as me. The first part of the book, with J’onn heading to the moon to check in on some astronauts because earth lost contact with them, was pretty straightforward and interesting. But once J’onn is attacked the story takes on a dream-like quality with the Martian Manhunter, as we see him confused and manic and fighting against members of the Justice League (who are barely recognizable). It spirals a little out of control from there. What I am finding is that in the world of comic books and on-going superhero stories, if you aren’t already following a title, it is almost impossible to jump in. Too much has happened to be able to follow along easily. I had hoped that since this was Volume 1, there would be enough background information to grasp what I needed to know. I don’t think that’s the case here. There was a sense of something that I thought I could really like, but not being a previous follower of the series there was too much that was foreign to me. Looking for a good book? Martian Manhunter, Vol. 1: Epiphany, is a graphic novel in which the stakes are high and the battles are fierce, but unless you already know what’s going on, you may not want to jump right in here (even though it is a #1). As I write this, the news has been full of reports on the Democratic and Republican stumping for the party nod in ten months and it has been an absolute zoo of presidential wannabees. Political satire today has a broader range as we have not only newspapers and magazines but also radio, television, and internet pundits. But in today’s political arena the politicians seem like they are satirizing themselves with their extreme positions and antics. How much we’ve changed. Puck was a humor magazine published in the U.S. from the late 1800’s to just after the turn of the century. Political humor was perhaps its most popular bedfellow. And one thing we can see by looking at some of the political cartoons from the time is that politicians, and the average person’s impression of politicians, haven’t changed much in 150 years. This book is well researched and also incredibly well presented. The book is broken down into sections (History of Puck magazine, The Puck Building, Presidential Politics, Politics and Government, Business and Labor, Foreign Relations, Race and Religion, Social Issues, Personalities, Just for Fun, Biographical Dictionary, Bibliographical Note, Index) and lavishly illustrated with reproductions of the artwork from the magazine to exemplify each section. The artwork is impressive. The detail these artists provided is so fine, and the ability to reproduce this art is something I wasn’t prepared for. The humor here is strong and one can see shades of a precursor to magazines such as Mad or Cracked, though the intended audience has changed. The equivalent today might be the French Charlie Hebdo or the British Punch magazines. With each reprinted cartoon, the editors have included a synopsis of what the cartoon is targeting, the artist, and the issue date that the cartoon was published. Because the work here was timely and often at the forefront of social thought (whether it followed, or led social concerns is debatable) this book is more than just a beautiful coffee-table-style book (which it could be). It is also a tremendous history book. But here we aren’t looking at history as reported on by historians, but history as reported on by commentators (think: Stephen Colbert or Jon Stewart). This really is a great book and anyone interested in art, history, politics, or humor should appreciate it. Looking for a good book? The Story of Puck: What Fools These Mortals Be! 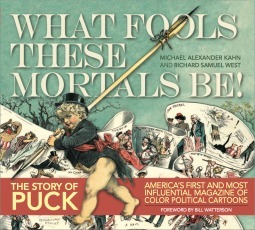 is a remarkable history book of political (and other social) cartoons from a popular turn of the (20th) century magazine, Puck. I received a digital copy of this book from the publisher, through Netgalley, in exchange for and honest review. The Story of Puck: What Fools These Mortals Be! An aging (retired?) jazz musician, Wade Lovett, who hasn’t worked a gig in a long time, is currently living in a trailer park and is dating three different women. When one of the women is discovered dead, Wade is one of the prime suspects. I am slowly becoming a fan of mysteries and I’ve noticed that in addition to having strong writing and/or tremendously interesting characters, most mysteries have a unique ‘hook’ – something that each subsequent book will utilize to make its place in the genre stand out. I know of mysteries that center around horse racing. Books that are from the viewpoint of a forensic scientist. Books with characters hobnobbing with famous personalities from the 1930’s. Mysteries with cooking themes. There is no end to the unique flavors of mysteries. What drew me, then, to this book was what I expected to be unique hook. In every description I’ve read of this book (on Amazon, Goodreads, Netgalley, etc) it is always mentioned that Wade Lovett is a former jazz musician. As a lover of jazz music and a with a new-found appreciation for mystery books, this seemed right up my alley. Care to guess how much Lovett’s history as a jazz musician comes in to play in the story? Zero. It could be said that he was a retired baker, or a former high school art teacher, or a fast food restaurant manager for all that it matters about his history. What matters is that he’s poor, living in a trailer park and that one of his three lady friends suggests that they get married so that he might be covered by her insurance. Lovett doesn’t seem to get too upset by anything, keeping a low-key, laissez-faire attitude about everything, including the fact that he’s a suspect in a murder case. He accepts the offer of marriage (for the sake of convenience) and just as with everything else, he’s pretty low-key about it. When it looks like his now-wife might have poisoned the other woman out of jealousy, he gets a little curious and concerned, but again stays pretty calm. When he is attacked, pushed, and kicked, he stays pretty calm (and wisely doesn’t fight back). This is a cozy mystery, and I’ve come to understand that cozy mysteries might stay relatively low-energy, but I really wanted something to happen. I wanted someone to get passionate about something … whether it was about each other, or solving the murder, or playing jazz on an old saxophone! That said, I did kind of like Wade, and I appreciated his situation (though I’m not sure how someone so low-key managed to have three girlfriends) and I found that the book moved along fairly crisply. It was an easy read, in this sense. Still, in a market glutted with themed mysteries, this one isn’t going to stand out particularly well. 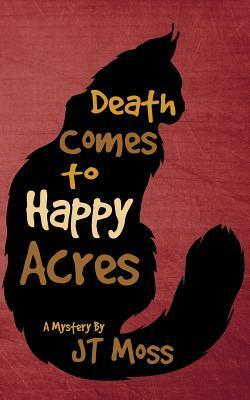 I would need to really be hooked by the tag line or book description to foray into Happy Acres again. Looking for a good book? Fans of cozy mysteries might really enjoy Death Comes to Happy Acres, by JT Moss – the writing moves the story along well, but there isn’t much excitement or passion in this mystery surrounding a former jazz musician.